Jet Li is good at kicking people. Scratch that, he’s really good at kicking people. But all the neck-twisting, face-imploding roundhouse strikes in the world can’t change the fact that War is a typical East-meets-West shoot-’em-up. 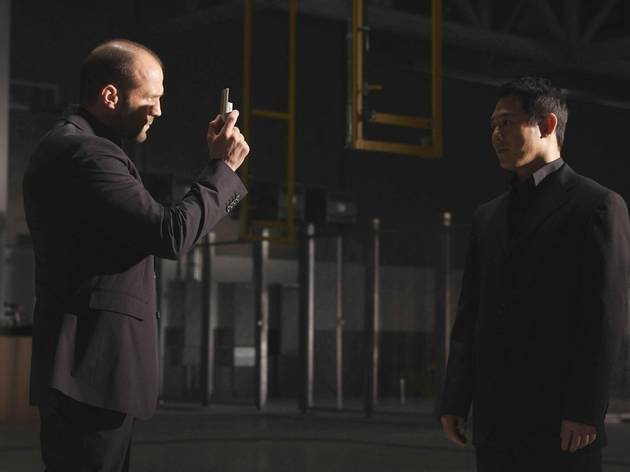 Li plays Rogue, a hit man who—in the heart of San Francisco—exploits the mistrust between rival yakuza and Triad gangs to spark a turf dispute. By killing members of both and then pointing the finger, he makes war inevitable. Standing in his way is Jack Crawford (Statham), a federal agent with a bone to pick ever since Rogue killed his partner. Lots of car chases and explosions later, we realize that, in this war, the only real casualty is good taste.